I mentioned in an earlier NevadaGram (not getting the NevadaGram yet? Sign up here) that there will be an almost-impromptu birthday party for Edna Purviance in October at Winnemucca. 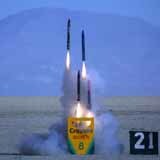 The Huffington Post finds crayon rockets launching on the Black Rock Desert. She was born in Paradise Valley north of Winnemucca and she maintained family connections there long after becoming Charlie Chaplin’s leading lady in the movies that made him a star. Here’s a richly detailed website devoted to our Edna. It turns out that despite her rapidly faded fame — she never made a talkie — there are enough Ednaphiles to throw a party in her honor at the Martin Hotel in Winnemucca next October. 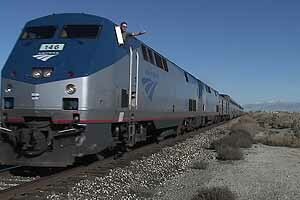 And in particular there are enough people coming from Reno that we’re considering doing it by train. The mighty fountain dominates the waiting room. This depot was built in 1925 at the corner of Commercial Row and Center Street, and the tracks of the Virginia & Truckee Railroad connecting to Carson City and Virginia City ran along the south side of the depot until 1950. There is a ticket agent inside and an interesting exhibit devoted to items discovered during the construction of “The Ditch” in which the trains pass through Reno, below street level for more than two miles, beneath eleven cross streets and eliminate traffic jams. 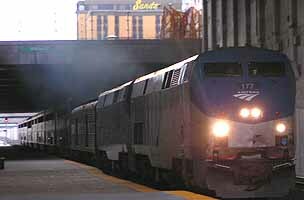 The eastbound California Zephyr arriving at Reno. There is a new waiting room downstairs at track level, with three options for getting there. There is an escalator (not running), an elevator (closed for repair), and the stairs, functioning perfectly. 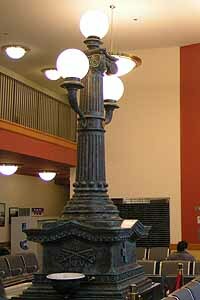 The downstairs waiting room contains a grandiose 14-foot-tall fountain built and dedicated in downtown Reno on Oct. 17, 1908, to “quench the thirst of all of God’s creatures”. The Women’s Christian Temperance Union installed it on the theory that if men had a place to get water for themselves and their animals, it would keep them out of saloons. Clearly this did not work as planned, and the immense artifact is now a souvenir of the distant past. There are interesting historical photos of the depot on the walls which we were able to inspect with extra care because the train was running 45 minutes late. As we waited I experienced the first great revelation of train travel: we didn’t have to take off our shoes. There was no security line or bag check. No-one cared whether we had liquids, no-one stepped up with a wand to check our armpits and ankles. It was carefree. Calloo! Callay! 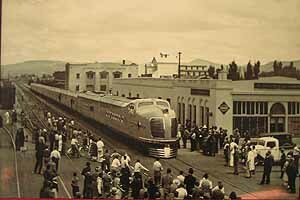 This 1936 photo of the streamliner City of San Francisco stopped at the Reno passenger depot is on the wall in the waiting room adjacent to the Trench. industrial aspects of Sparks that I experienced the second great revelation of modern train travel: the person in the seat behind me tapped me on the arm and said, “If you want to lean your seat all the way back, go ahead. There’s plenty of room.” Have you ever heard of that happening on an airplane? To anyone? It was dark and we were on our way to dinner by the time the Zephyr flashed through Fernley, a sudden nexus of complexity and light with a ruby red neon-smear, and just as suddenly gone. In the black desert night mysterious lights appear and disappear, like planetoids in space. Without them it would seem as if the train were standing still and trembling in the dark. 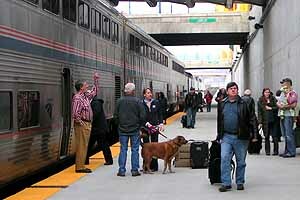 Riding the California Zephyr is much different from riding the V&T down from Virginia City down through Gold Hill, American Flat and Mound House to Carson City. The old steam trains chuff slowly along, with a firm click-clack, click-clack, clickety-clack, and lift you into a supremely agreeable alpha state, but the Zephyr snakes through the night a notch or two faster than the 70-mph 18-wheelers on the highway a quarter-mile away. There’s no click-clack at that speed, no engine noise, and if you feel any motion at all, it’s more likely to be a slight jiggle than a startling swerve, although there are occasional swerves too. Third revelation about modern train travel: the dining room isn’t the stiff white linen, heavy silver and glittering crystal you remember. It’s white paper on the table now, and disposable plates. The food is good and the service is great, but the drop in tone is a major departure from the classical standard. 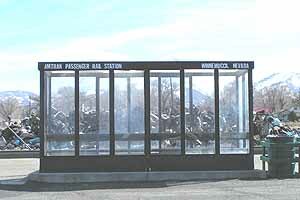 The Amtrak passenger depot in Winnemucca (Note to CEO: chilly in winter). Two of our party, Jim and Loretta of Reno, were going on to Elko after our Winnemucca adventure, and so they drove and we had the benefit of wheels around town. back and forth from the train, and there is a taxi in case we couldn’t arrange a ride out to the Rodeo the next day. 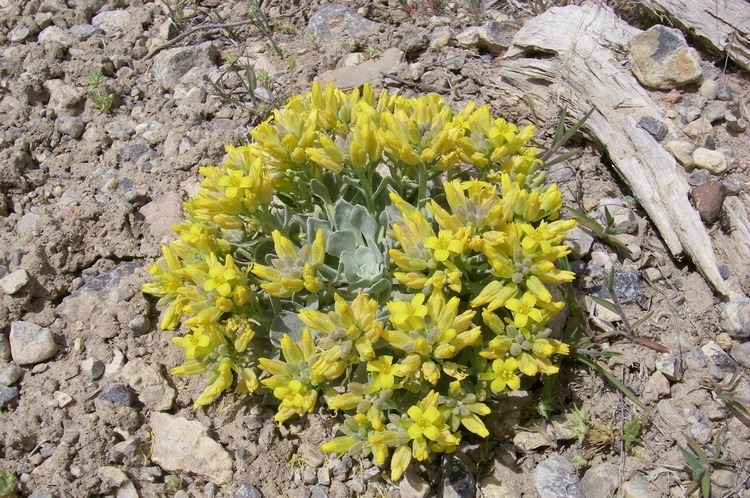 And Winnemucca is still small enough to be mostly walkable. There is a self-guided historical walking tour which you can pick up at the Chamber of Commerce office, corner of Winnemucca Boulevard and Melarky Street, and which takes you past the bank that Butch Cassidy’s Wild Bunch robbed back at the turn of the last century. The Griddle, setting the breakfast standard for America. We arrived before 9, detrained at the glorified phone booth (but no phone) that serves as a terminal, and rolled down to the hotel where we called it a night. Saturday was our big day and we began it in fine style at The Griddle. It’s right on Winnemucca Boulevard and right at the top of the Nevada Food Pyramid. 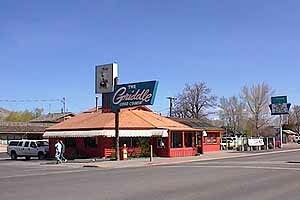 There is no finer breakfast in the eleven western states than at The Griddle in Winnemucca; hint: Eggs Benedict (but really, you can’t make a bad choice) and the orange juice is fresh-squeezed. They make a point of bragging that their eggs are hand-cracked, as if we might suppose there was a mechanical egg-cracker in the kitchen. I think they meant to emphasize that everything is fresh and made from scratch. Ranch hands ready to ride. Then a slow saunter back to the hotel, some primping, and the ride out to the Events Center on the east end of town where the ranch hand rodeo began at 11. This is my candidate for Best Rodeo in Nevada because it is a competition between teams entered by ranches in Nevada, Idaho, Oregon and California, and the roping, riding and ‘restling (the three Rs of rodeo) is all done in the same clothes and with the same gear they do it back home. I like the team aspect of it, and I like the fact that the teams practice and develop together in the course of their work. It’s bedrock authentic. One of many craft booths in the enormous Events Center building. Nevada, and Shar Peterson from Battle Mountain, and lots of Winnemucca friends. The competitions were exciting and enjoyable to watch, there was hot food available and some ladies were pushing a big cart full of ice and beer around but the real attraction was the audience. The people attending the rodeo were just as colorful and authentic as the participants. Big hats and big mustaches were common, and a teenaged buckaroo with a broad-brimmed hat and pierced lips and studded eyebrows demonstrated that time marches on all along the line. Regret we didn’t get a photo. The exalted Picon Punch, a Basque country tradition and very popular at the Martin. The dining room at the Martin. From the rodeo we returned to the hotel for a snooze and then rallied up at the Martin Hotel for dinner at 5. The joint was jumping! 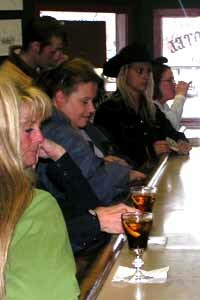 All the tables were filled and the bar was three-deep. 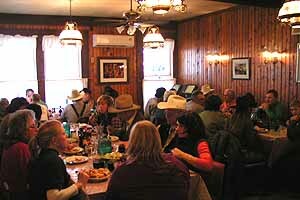 This is one of Winnemucca’s classic Basque dinner houses (The Winnemucca Hotel is the other, down by the river) with entrees ordered separately and side dishes shared around the family style tables. Our culinary adventurers had lamb shanks, pork chops, prime rib, sweetbreads — each one satisfied he’d made the best choice at the table. Did I mention the carafes of red wine? And the fresh-made bread pudding for dessert? “I especially enjoyed the rodeo. 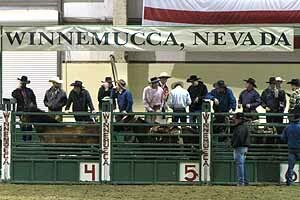 I had not been to a rodeo, I think, since I was a kid in Las Vegas (was born and raised there). 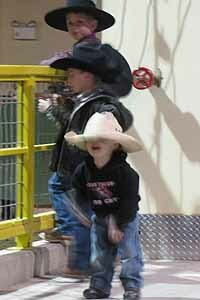 I was taken with the family atmosphere and the community spirit that the rodeo exuded. It was very contagious and made me feel warm inside. The Reno to Winnemucca train ride was novel as how often do we take a train in these parts, and it was cool to experience Amtrak also. I have just heard about it on the news and now I have been on it. to stay, great rooms. Sourdough Slim was a hoot and the food at the Martin was great and so much of it! You don’t even need the entree as you are too full to eat it after all the other courses before it. Last but not least, enjoyed hanging with my friends! Oh…the down side? There wasn’t a down side…even the characters on the train were fun in a weird way. Guess the bathrooms on the train could have been cleaner. After dinner it was showtime: Sourdough Slim and Robert Armstrong. 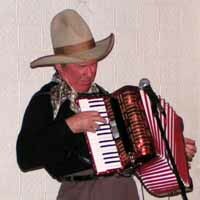 Slim is America’s favorite big-hatted accordion-playing yodeling cowboy (with guitar, baritone ukulele and harmonica), and Robert is a virtuoso on the banjo, steel guitar and musical saw. They sing too. Together they knocked our socks off with a bluesier show than we’ve heard from Slim by himself — more Jimmy Rodgers than Roy Rogers, hinting at a wider range than he usually performs and making us worry they’ll do “Que Sera, Sera” next. They didn’t, they did “Yodeling Bill” instead, and “The Musket Came Down From the Door”, and even “The Man on the Flying Trapeze.” But he and Robert also did “Hesitation Blues” out of the Jelly Roll Morton songbook, and they ended the show with the “River Blues”, plus a couple of enthusiastic encores after that. We had a farewell picon punch after the show, and then back to the hotel for more snooze and a 4:30 am wake-up call. At 5:15 we caught the morning shuttle that takes the crew to the train. This is a very short leg for the conductors and engineers who are boarding with us. They bring the east-bound California Zephyr to Winnemucca from Reno, stay overnight, and take the west-bound Zephyr back to Reno the next morning. We had breakfast looking out over the beautiful desert landscapes slowly regaining their color, and afterward sat in the lounge car and gazed out at the passing panorama. Back in our seats in what was now daylight, I noticed that our fellow passengers, many of them aboard since the train left Chicago, had settled into elaborate nests. Personal space had in some cases become very personal indeed, and the return from Winnemucca to Reno was less Orient Express and more Greyhound Bus. 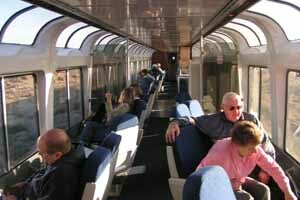 The Lounge car. Refreshments available. The Lounge car. Refreshments available. But with a congenial seat-mate you can create some personal space of your own and enjoy the passing landscapes too. This was the perfect excursion: the train is a pleasant adventure in its own right, and Winnemucca made the perfect destination with good food and lodging and a full schedule of enjoyable events. 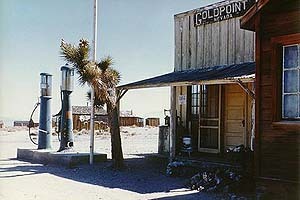 The Zephyr also stops at Elko, but the little wind-shelter “depot” there is well out of town to the east; the east-bound train gets in later at night and the west-bound train comes through even earlier in the morning. Still, with arrangements made in advance for transportation to and from your lodgings (essential), this would be a good way to attend the Cowboy Poetry Gathering, the Mining Expo or any event in this nifty little city. “Every year as you know we have a historical Christmas card exchange from the Wiley collection. This past year we had a special request for a Christmas card so Red Dog Lil got to work on it and lo and behold after looking at just a couple of cards for the year specified, she was found that fit the bill in more ways than one. This card was for Deborah Wiley, requesting it for her mother Grace who was married to Henry Wiley, Senator Harry Wiley’s son. The year requested was 1947, the year that Grace and Henry were married. Well, the card that Red Dog found was not only 1947 as requested but it was from Henry himself to his father Senator Harry Wiley. Red Dog was pretty pleased with the find.” And doubtless Grace Wiley even more so . . . The new Carson Valley Inn casino. New owner Mike Pegram is using the 2010 Spring Stag Golf Outing, April 22 – 26, to show off the newly remodeled Carson Valley Inn‘s many upgrades and refinements. 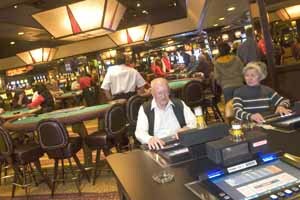 Everything in the casino has been remodeled, replaced, refurbished or refreshed. Over 300 new slot games are on the floor, and there’s high-comfort seating throughout the casino and a new table games area. The new Cabaret Lounge has up-close live entertainment seven nights a week, and a new sports book and 28 HD televisions. A new air-handling system constantly brings in fresh outside air to reduce casino smoke. The restaurant portion of Fiona’s has been remodeled and reopened as CV Steak, open for dinner Wednesday through Sunday from 5 pm, and the CV Steak Bar opens at noon during the week and 10 a.m. on Friday and Saturday Here’s the menu . . .
Waddie Mitchell, Don Edward and Paul Zarzyski among them. 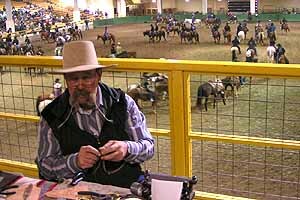 In addition to the performances, there are over 80 different workshops, demonstrations and presentations schedules, unique and collectible Cowboy art will be sold, and a Cowboy Gift Shop will offer CDs, books, art and souvenirs. 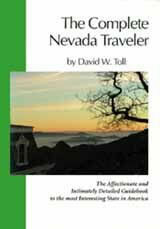 For ticket information, call 775-782-8207 or 775-782-8696 or visit the website . . .
present. 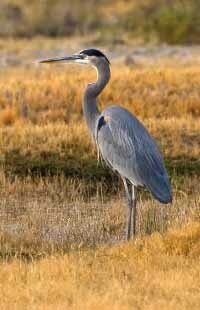 Guided tours will be given of the Stillwater Wildlife Refuge, Carson Lake Wetlands and other sites included in the Western Hemisphere Shorebird Reserve Network and along the Pacific Flyway. 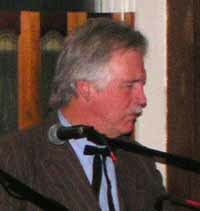 Much of this year’s festival will be centered on Oats Park, in Fallon. Vendor booths, performances by local talent, even the Friday evening Keynote speaker (Ted Floyd, Editor of Birding, flagship publication of the American Birding Association) will be staged in the park. On Saturday night May 15th, the event will move indoors for a special Improv Night by Chicago City Limits . . . The longest season ever is still in full swing at Las Vegas Ski & Snowboard Resort. Resort management has announced that Sunday April 18th is the new target for closing day in 2010. The resort typically operates between Thanksgiving and Easter, but the 2009/2010 season started off on October 7th. LVSSR was the 2nd ski area open in all of the USA and by April 18th the resort will have operated for 165 days . . . Hotels.com says Las Vegas has the most popular and affordable hotel rooms in America as room rates declined in the last half of 2009. Still, the magic city’s appeal remains strong as the favorite destination for American tourists and the number two destination for international travelers, behind New York. Average daily rates in Las Vegas fell 18 percent to $79 from July to December, down from $109 earlier in the year . . . The $3.9 billion Cosmoplitan of Las Vegas with 2,995 hotel rooms and condo-style accommodations in two 50-story towers overlooking the Strip just south of the Bellagio. “…expansive terraces, residential-inspired furnishings, spacious living areas, luxurious bathrooms and a multitude of small but distinct touches”, and a 100,000 square foot casino downstairs. The property escaped foreclosure in 2008, and is now expected to open shortly . . .
And, as a supreme gesture of optimism in the face of gloom, a new casino is about to open in Las Vegas.Speaking of Las Vegas,Bellagio’s Conservatory & Botanical Gardens has been transformed to feature a spectacular floral exhibition and seven large-scale bronze sculptural ants, including including a queen who allows guests to climb onto her back for a unique photo opportunity. 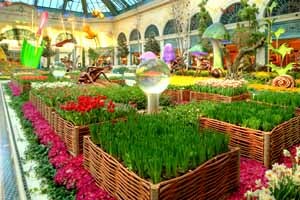 Four gardens provide a lush landscape for the ants and for butterflies, bumble bees, giant mushrooms and a French garden. 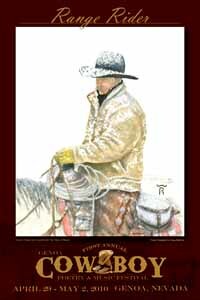 The exhibit will be on display through May 9 . . . Pink Jeep Tours is now offering a Las Vegas city tour beginning at the birthplace of Las Vegas, the Springs Preserve and progressing from the first settlers to today’s popular landmarks with a taste of the desert, and concludes with dramatic panoramic views of the city’s skyline. For more information, send an e-mail . . . There is talk of holding a low-budget Governor’s Conference on Tourism in Reno this year Last year’s Conference, scheduled for the Peppermill, was canceled as the state’s financial melt-down collapsed the budget. . . .